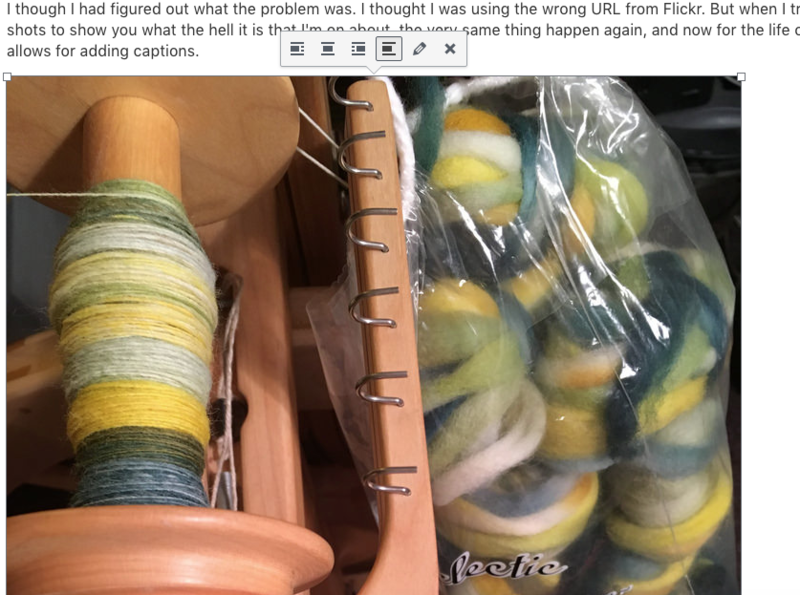 So, after publishing my blog post, I tried to find out why I wasn’t able to caption the pictures that I linked directly from Flickr instead of uploading them to the WordPress media gallery. I couldn’t find anything that even addressed linking pictures from a URL, but I tried linking from a URL again and, lo and behold, this time it worked. I got the screen that allows me to caption pictures before inserting them into my blog post. 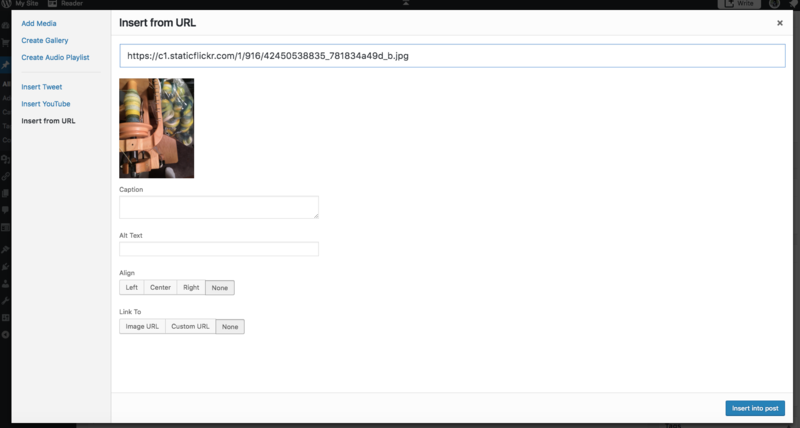 This is the screen I am used to getting when I insert a picture into my blog using a Flickr URL. 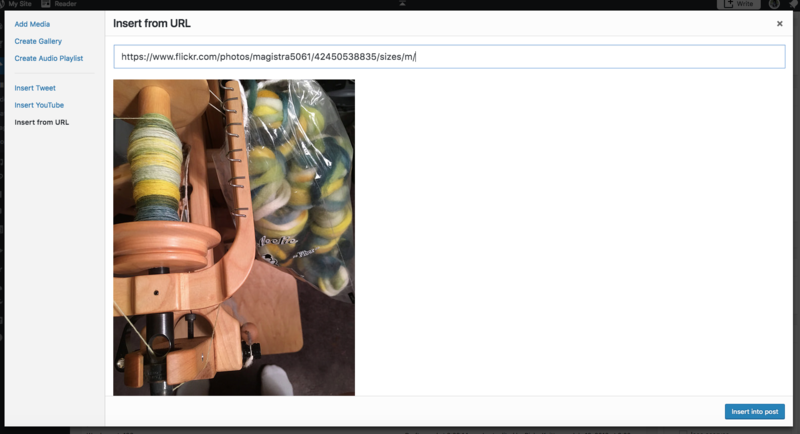 There is a box for adding the caption, a box for picture alignment, and a box for linking to the image. I thought I had figured out what the problem was. I thought I was using the wrong URL from Flickr. But when I tried a second time in an effort to get screen shots to show you what the hell it is that I’m on about, the very same thing happen again; I got the same screen that doesn’t allow for adding captions. No caption box, no alignment box, no URL linking box, just the picture. I can insert the picture into my blog from this screen, but there is no way to add a caption because the editing function simply doesn’t work. See that little pencil beside the x in the bubble? If you click on the pencil, it is supposed to take you to the editing screen where you can add a caption, align the picture, and do some other stuff. Clicking on the editing pencil brings up a page that looks just like the second picture. 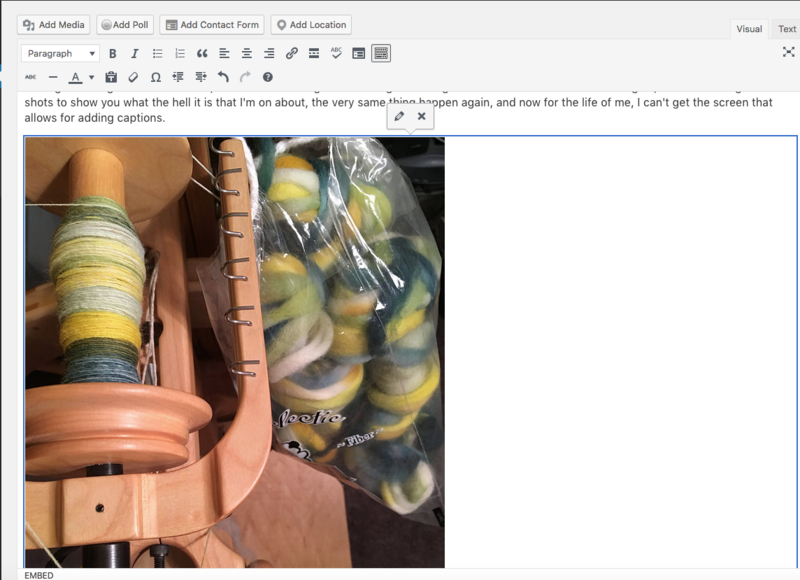 What I’m used to seeing is a more complete editing choice that allows me to choose the alignment and then click on the editing pencil to get the screen that allows me to add a caption. Notice that in addition to the pencil and the x, there are also 4 alignment boxes to choose from. This is what I am used to getting when I select a picture I added to a blog post from a URL. It took me a little while to finally figure out what I was doing wrong, and when I did, I went full Homer Simpson––DOH! For some reason, probably because it has been a while since I blogged, I was copying and pasting the URL from the URL bar on the Flickr page instead of right clicking on the picture itself and selecting “copy image address.” I don’t know why that makes a difference, but you do get a different URL with the second method than you do with the first and it seems to make all the difference in the world.